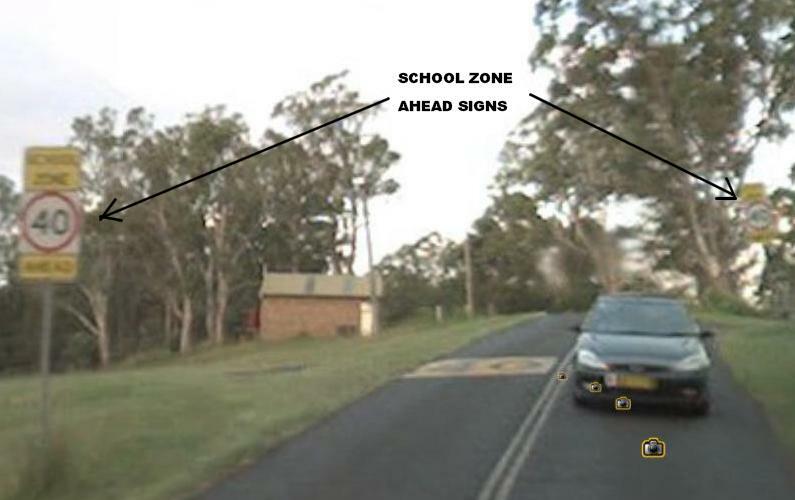 What is the speed limit in the area between the two signs during school zone hours? 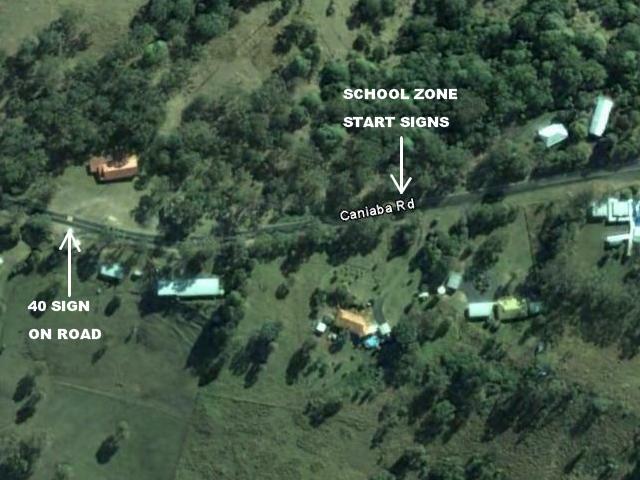 At the town of Caniaba, west of Lismore, there is an even more confusing situation. 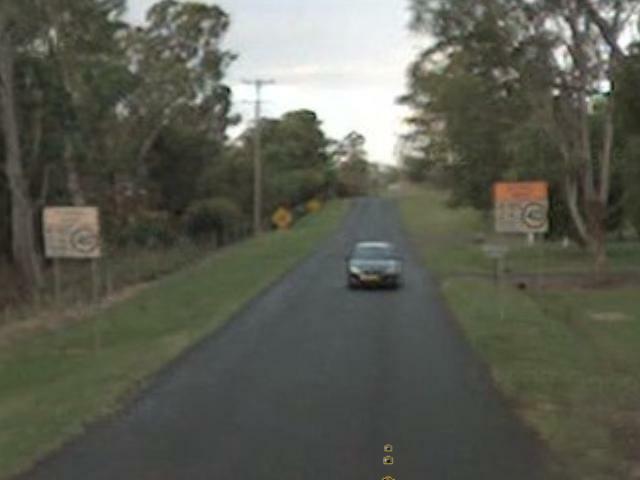 The painted 40 sign on the road is 227m before the "School Zone" signs themselves. 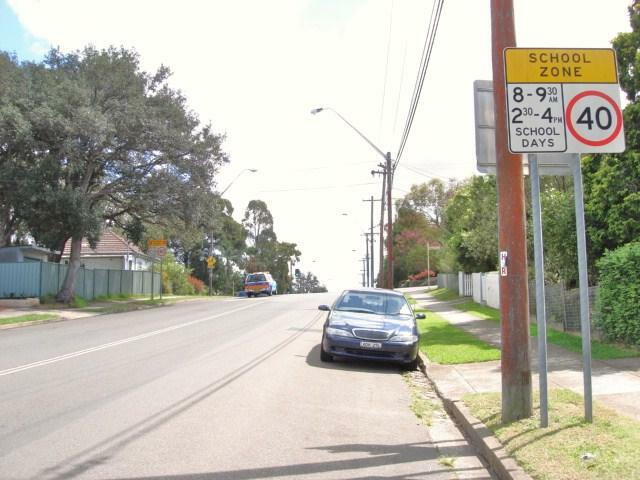 It is co-located with two "School Zone Ahead" signs. 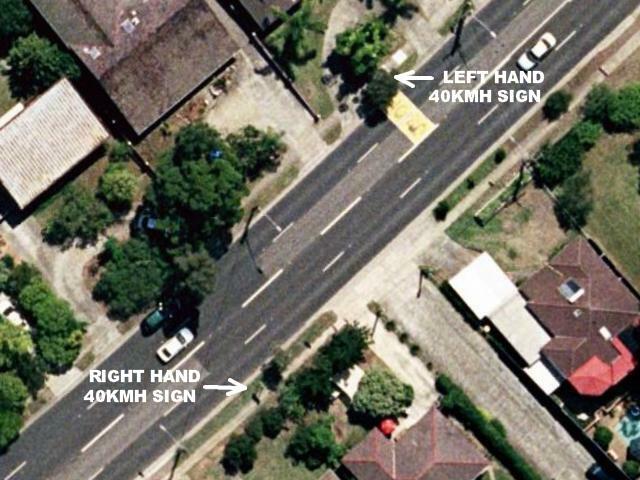 What speed limit applies on that 227m stretch of road during school zone hours?